Ability to lift and transport tonne bags of ballast safely from delivery site to workplace, eliminating the trackworker to a safe distance. The bag beam is a device for lifting bags of ballast, gravel, sand or any other bulk materials. Bags are easily attached to the bag lifter and are held level and secure. The bags are also held lower to the ground giving greater control to the operator if the load requires spreading over a given area. This attachment also eliminates the need for chains that can damage or rip the bags handles. 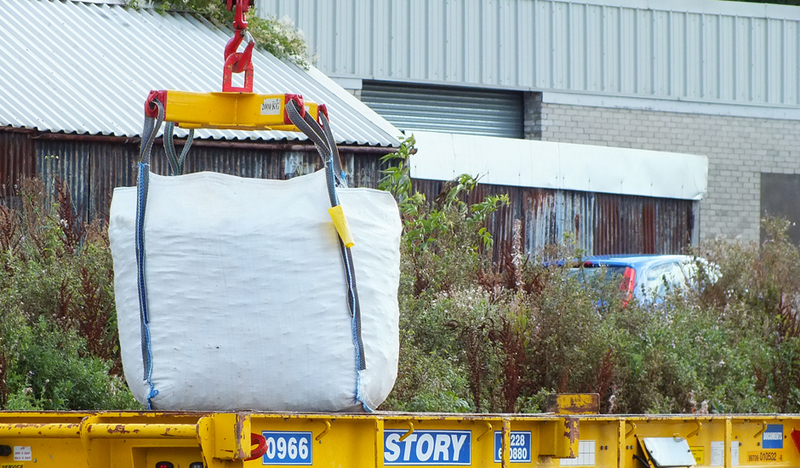 Ability to lift and transport tonne bags of ballast safely from delivery site to workplace, eliminating the trackworker to a safe distance.